Over 1.8 million tons of steel, a durable yet malleable alloy of iron and carbon, are made and used around the world every year. Steel fabrication is a complex process that uses both man and machine to create everything from intricate works of iron artwork to massive structures that loom in the sky. Steel is synonymous with strength, perseverance, fortitude, and durability thanks to its place in the worlds of construction and manufacturing. You can take advantage of its capabilities to create customized structures in a fraction of that time through modern steel fabrication. 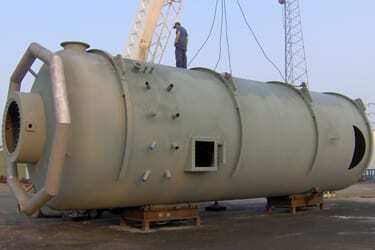 What Are the Uses of Steel Fabrication? Steel can be manipulated into anything from paper-thin plates or long and thin beams to foot-thick support structures that extend over a hundred feet. As such, a skilled fabrication shop can take a raw supply of the metal and turn it into a variety of products for a wide range of commercial and industrial applications. Prefabricated structures made from carbon and stainless steel can be stored and shipped to create houses, offices, and workshops that can be assembled and disassembled rapidly to meet operational needs. In the hands of a capable fabrication shop, it can do everything from serving as a core structural component inside the walls of a building, fulfilling auxiliary functions like guiding gas and liquids as piping, as a durable covering for exterior surfaces or as a beautiful decoration to lend a special touch to a room.If you are trying to build a large structure, be it a skyscraper, a stadium, a bridge or just about any other major architectural project a steel skeleton is a commonly utilized, and highly recommended, place to start. Why Use Steel for Fabrication? 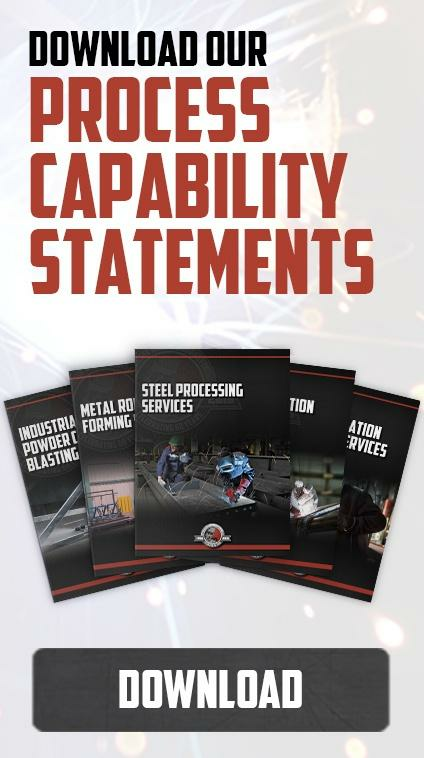 Steel possesses a broad suite of traits that have made it ideal for fabrication and construction in the past century: high durability, ample availability, and diverse applicability being the primary three. For construction, steel is typically less expensive and easier to manipulate while offering the most structural integrity per pound when compared to other commonly used materials. It can even be injected with other elements to tweak traits like the hardness or resistance to shock, heat, and corrosion as needed for specific uses. Adding chromium to the mix will generate stainless steel, a variety that is frequently used for rust-proof and low maintenance exteriors. Tool steel has more durability and heat resistance than basic carbon steel through the addition of metals like tungsten, creating a brand of steel that can withstand heavy strain. Other alloy selections can change the steel from solid and rigid to easily bendable. The strength and versatility of steel push it to the forefront of materials used for construction projects. Steel is also one of the most highly recyclable materials, capable of being reprocessed multiple times without losing any strength or integrity. Almost every steel product has some recycled elements inside of it given that 69% of all North American steel is repurposed every year. 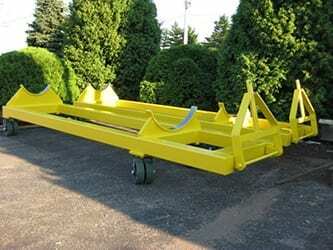 How Does the Steel Fabrication Shop Take the Raw Material to Final Product? Before a single piece of steel is cut, the fabrication shop works together with the client to create a blueprint that will guide the rest of the process. The primary goal of the shop in this stage is to help mesh the needs and wants of the client with the physical capabilities of fabricated steel structures. Because steel’s versatility allows its applications to range from surgical needles to pieces that span the length of a football field and weigh a hundred tons, the primary limitations are load-bearing and durability calculations. Shops today have a tool of remarkable value in Computer Assisted Design (CAD) programs that move the blueprint drawing stage from pencil and paper to a digitally-controlled screen. Beyond the convenience of being able to rapidly share and copy the blueprints, CAD software is more efficient at creating three-dimensional blueprints, a handy thing to have when building three-dimensional structures. With the input of the client, their knowledge of steel, and the aid of tools like CAD programs, steel fabrication shops draw up detailed plans and pass them to their team of metalworkers efficiently. After all of the planning is done, it is time to get to work. The shop has a variety of tools and techniques that can be used to take the steel from one shape to another. The equipment makes use of heat, pressure, and force at levels that are powerful enough to bend solid steel, requiring precision and care even from experienced metalworkers. When the CAD calibrations mentioned above are combined with CNC (Computer Numerical Control) equipment, impeccably precise cuts and bends can be made at speeds that allow for the quick production of high-quality steel components. After the steel has been shaped into the necessary forms, the shop can begin to turn the concept into a reality. Some pieces will be sanded, blasted, and painted to provide resistance to the elements or just for the sake of aesthetic appeal. For construction projects, pieces of steel will be welded and riveted together at the shop and on-site before being placed in their new location. In the end, the client will be left with a gorgeous steel structure that could be a new home for their company or a shed for their own workshop projects. Once put into place, a building made through steel fabrication can last for multiple decades of use and abuse by the elements and those who work inside the space. The durability will not stop you from adding improvements, making small modifications or repairs, or even completely disassembling the structure and moving it to a new location. The one thing you can count on is that your fabricated steel structure will be with you for years to come.